Question: How long is a helium tank rental? Answer: Generally, our helium tank rentals are for a THREE DAY period. Most of the time, our customers use them for a weekend. Fridays are good pick up days and Mondays are good return days. Question: How much does a helium tank cost? Answer: We have 2 sizes. 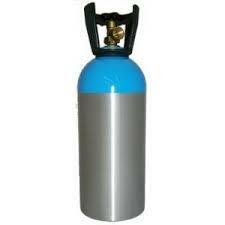 A rental for a 27 cubic foot helium tank is $35.00. A rental for a 55 cubic foot helium tank is $70.00. We take an imprint of a credit card and driver’s license as a deposit. Question: What does a helium tank rental include? Answer: A rental includes ONE tank and ONE inflator. It does NOT include Hi Float, Ribbon, or Balloons. We DO sell Hi-Float, Ribbon and Balloons in our store. Question: How many balloons will a helium tank do? Answer: It depends upon the size of the tank and the size of the balloons that you are using. A 27 cubic foot tank will do approximately 60-70 11″ latex balloons if you use the nozzle we provide. A 55 cubic foot tank will do approximately 120-140 11″ latex balloons if you use the nozzle we provide. If you are looking for a helium tank rental, contact us and we will be happy to assist you! PS The tanks are easy to transport!